Hi, everyone. It’s my favorite day of the month – time to announce a new Reader Appreciation Giveaway for March! 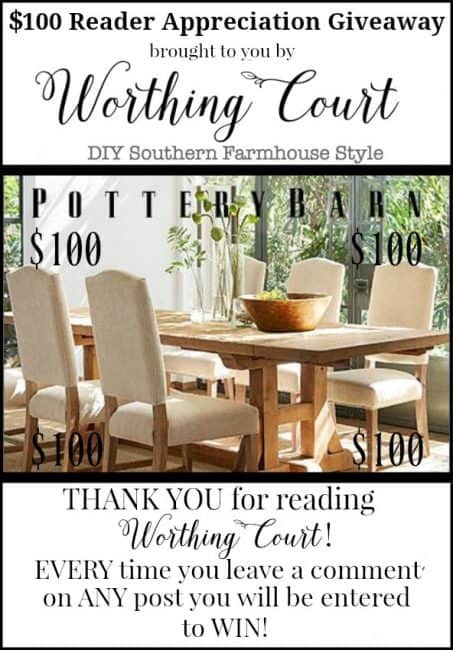 This month the giveaway will be for a $100 Pottery Barn gift card! Entry is super easy – all you need to do is to leave a comment on any blog post during the month of March and you are automatically entered. Every comment you leave counts as one entry. So remember, more comments = more chances to win! 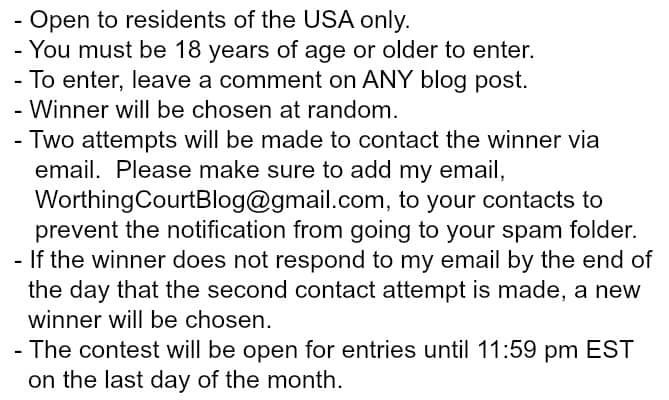 THIS MONTH’S CONTEST WILL END ON MARCH 31ST AT 11:59 PM EST. February flew by in a flurry, but I for one am glad it’s over. That’s means we’re that much closer to the start of spring! Click on the title above any of the images to read more. I want you all to know that y’all are the BEST – I mean it – THE BEST! I am so appreciative of each one of you who take time out of your busy schedules to visit. I love, love, LOVE getting to know you through your comments each month! I keep looking at that turquoise lantern. I could see it on our patio. Thank you for the chance to win this month. I could tour your home a thousand times and see something new each time… love it!! I love everything!! Your home is beautiful and an inspiration to me. Your home is so beautiful – can I come visit?? I really like how you did your home office. I’m just got finished decorating ours, thanks for all your idesa you share. Love you style. I am going to copy a couple of your ideas. Thanks for sharing. Enjoy the weekend. Love your designs, thank you for sharing with me! I return often to see things for the first time. I’m beginning several projects and have gotten ideas from your posts. I really like the brightness and crisp, clean look! I love the barn door on the bookcase. I enjoy reading your blog every day and like your ideas. I just had my friend sign up for your blog. I hope she enjoys it as much as I do. Thank you for reposting…. I missed a couple of these and I’m glad to learn where I can get the little green wreaths! I thought it had to be some fancy little boutique I’d never get to. I’m so happy it’s Hobby Lobby…. I can do that! And thank you for a chance at this lovely giveaway! I love your blog, your ideas and your beautiful home! I Love your office inspires me to redo mine! Thank you for inspiring me to work on making my home beautiful! I love Pottery Barn! Thanks for the chance! I love your monthly recaps. It enables me to quickly revisit a post and bookmark it for future reference. Thanks! Your designs are awesome! Thanks so much! There are so many lovely ideas here – and wowie do I want a pulled together look rather than helter skelter! Hi Suzy! I just love reading your blogs. You always inspire me, and your house is always decorated so beautifully. Thanks for inviting us in and sharing your talents with us! Great tips on your blog each time I open my email. WOnderful blog as always !! My friend introduced me to your blog and helped me sign up. Thanks Phyl. It is fun to see your ideas. but not too much farmhouse style. Beautiful! Even though we don’t have a Pottery Barn in our area I still love to buy things through the catalog. Great giveaway! 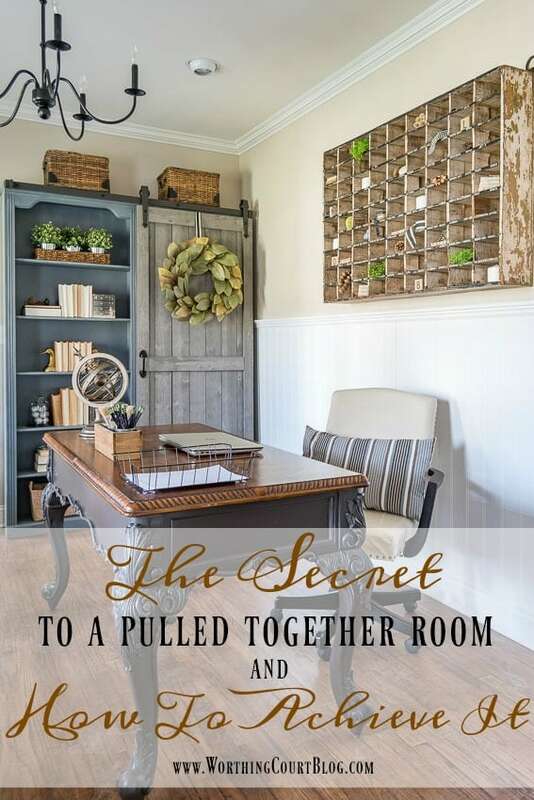 I love your office and what you did with the bookcase..
Love the wood lantern combo ! I look forward to your posts ! 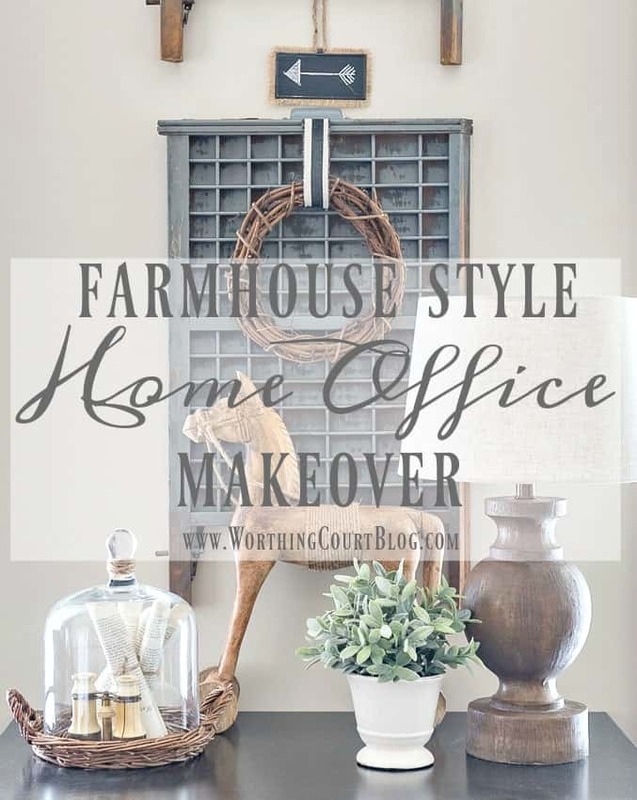 Love all things farmhouse ! Lots of good posts this month, Suzy… Thank you! Looking forward to this month. Just bought some milk bottles in wire baskets and mounted them on the wall. I think I like them, but, who knows… may change it up soon. I just recently found your blog, and I’m so glad that I did! Every room is such an inspiration. Thank you for sharing! I would love a chance to win! I would really like to get an end table for our living room that’s the proper size. I look forward to your blog daily…Keep the great ideas coming. Buh-bye February, hello March! I am with you, bring on Spring! I’ve never been to a pottery barn but I sure would make a day trip to that store if there was one close by! Thanks for the fabulous spring ideas!! Thanks for the Pottery Barn opportunity. Love reading your blog Suzy! 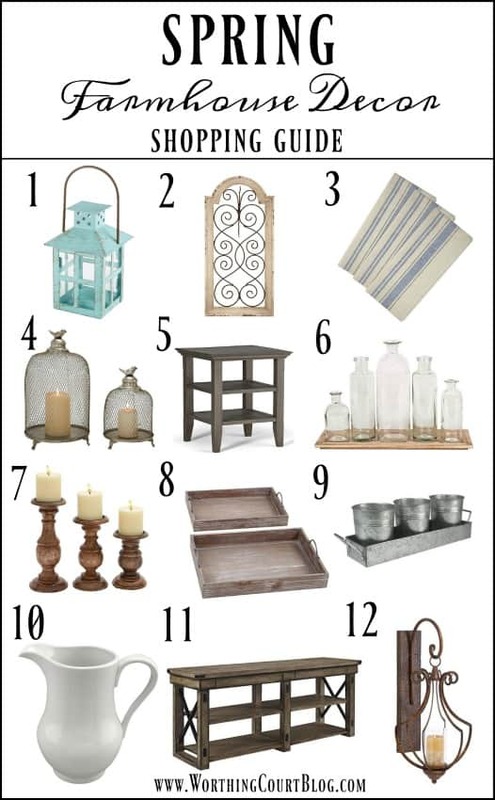 I really like all of those items, but #12, that metal hanging lantern is just gorgeous! Another great post with inspiration galore! Thank you for the continuous stream of ideas! My first time here and I love it!! I signed up for the newsletter. March is full of birthdays and anniversaries in our family. My birthday is smack dab in the middle on the 16th and to add to the celebration this year I have decided to retire. I have worked in the rat race for 43 years and March 10th will be my last day! I am really looking forward to having the time to read your blog and take on many of your projects in my own home. I love to decorate and am constantly rearranging my furniture. My daughters tease me and I say I must be related to the builders of the pyramids because they don’t know how I do it! Thanks for sharing where so many of your beautiful items come from. I want to “cuten up” my laundry room. (I think I just made up a new phrase! ?) I love the black and white canisters you have and your whole laundry room. Thanks for the inspiration!! Looking forward to spring ideas! I just came to your blog, for the first time I believe, from StoneGable. I read about your easy shiplap wall and WOW! how easy and beautiful it was!! I’m going to hang around some more, as I see many more post I want to read! Wow, I am so jealous of your home and decorating skills. We are retiring from active duty this summer and I can’t wait to decorate a home for longer than two years, a little scared too but that’s another story. I have pinned tons of your ideas!! Question, how do you store all your seasonal items? I have tons of totes, they move easy but are a pain to stash in closets. Thanks for the inspiration!! I might just get a forever home after 20 YEARS and 12 moves!!!!! Thanks so much for all the good ideas! Always look forward to the Scoops! Sure would love to win the Pottery Barn Gift Card! Love all of your post. I find myself reading them over and over and finding something new that i missed before. I love your style. I told my husband he is making me a ladder. I can’t wait to see what you post next! You give me great Inspiration to change up my home! Thank you for the chance to win the gift card for Pottery Barn. Love your style! I have been slowly transforming my kitchen to farmhouse style. I absolutely love Pottery Barn too! Thanks for the chance! thanks for sharing and for giving us a chance to be a winner. I am a new blogger just starting to “feel” my way around. LOVE everything you do, but especially your office. Just love your blog!!!! Thanks for sharing your ideas and talents!!! Continually inspired…..thanks for sharing your style and how tos! Gathering ideas for a little farmhouse shop. You inspire me!! I enjoy the variety of your blog. Some bloggers its the same thing or the same room all the time. Good mix of ideas for the seasons. I love your blog! So many great ideas! I just love the farmhouse kitchens! They are so beautiful and inviting. I love your blog and your advice on how to make your home more beautiful! Love touches of green in your breakfast area! Happy Spring? I have loved your blog for years. Love everything in your home. Love looking through your blog! 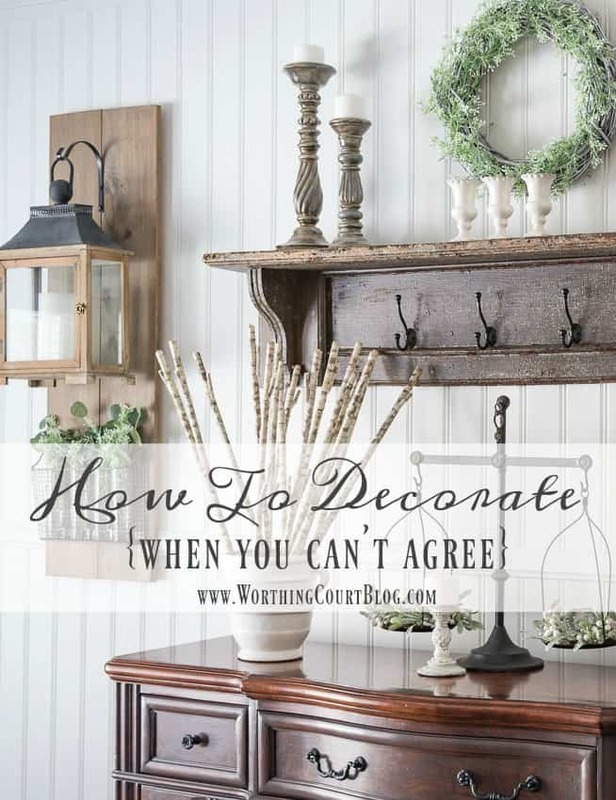 Trying to find my decorating style… we are remodeling (have been forever…) and so I get lots of ideas but until we are more through with our projects all I can do is daydream. I am truly inspired! Thank you for Sharing! Love your office especially the bookcase and doors!! You give me so much inspiration!! Loved your six quick and simple ways to bring Spring into your home. Suzy, everything is so pretty! How do you deal with everyday clutter? I feel like I might have too many projects started at home all at the same time. Thanks for the inspiration. God bless. Hi Betty. That’s a great question! I’ve found that if I have too much going on at one time, I get overwhelmed and wind up not completing anything. LOL I try, but I’m not always successful, to only work on one space at a time. And those spaces are ALWAYS messy during the process. Other than that, I have certain places for certain things and try to keep stuff put away. Although, you should see one of my extra bedrooms right now – it’s still full of Christmas stuff that I haven’t packed away yet. Oops. I love your office. I am in the process of redoing mine, and you have so inspired me! I love your home and love reading the blog. I get so many ideas that I would like to do to my home. Thanks for sharing your home with us. I love all your posts! Would love to win!! Thank you for the time you put into your blog. It lifts me up! What a gorgeous home you have. I love the simplicity but character of all of your furniture and decorations. Love all your posts, tips and continuous inspiration!! I love your style, and your mantel is gorgeous. Thanks for sharing you beautiful home with us. Your blog is very inspiring. I love your blog, and your style. Looking forward to more of the same in the future! We mare building our retirement home on six acres of land with a bush and stream. Every thing you suggest and do we love. Thank you for the inspiration. Every morning I have quiet time with my devotions and a cup of tea. Then…I open your email for a different type of inspiration. Thank you for sharing with us! Wow, where has March gone? Fingers and toes crossed for the giveaway! Thanks! I look forward to reading your email lists. More excited to have ach and to win a pottery barn gift card. Beautiful beautiful ! ! Your rooms are so beautiful ! Love the lanterns on the wood. Love the fireplace decor. Love it all. I’m so lucky to have found you. Actually not luck – Meant to be. Love it! Thank You! Love your site and newsletter. Am particularly interested in the information on where to purchase many of the items seen here. I love all of your blog post’s! I can’t get enough of your style! Thank you for sharing all of your wonderful tips and your beautiful taste for decorating! I look forward to your emails everyday! Getting ready to complete our second project of yours. First was the blanket ladder…now it’s on to the dining room. Hubs and I made two lantern/wire basket wooden plaques just like in the pictures. Can’t wait to get them finished and hung. Keep the good ideas coming! My husband is retired and really likes creating these for me. The easy projects keep him busy and he loves praise I heap on! I never get tired of reading your Blog always something new to see and Inspire me.! 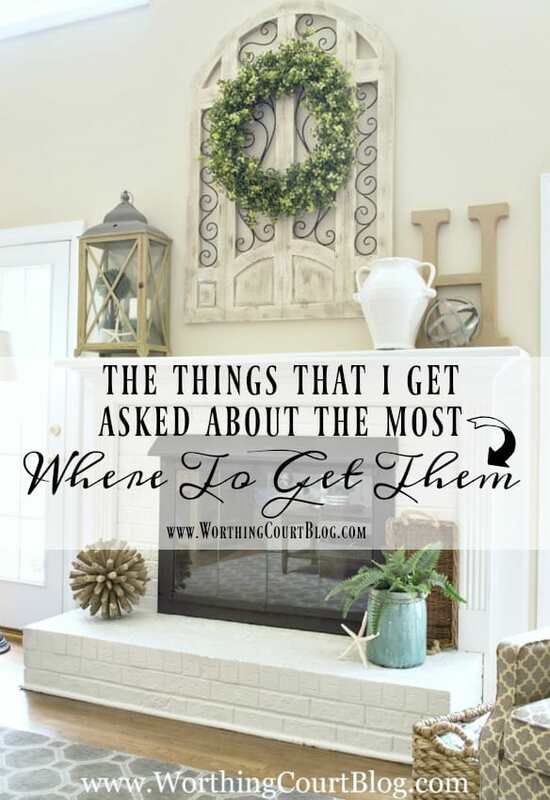 Looking at your blog has helped me zero in on what I would really love to have in my home. I wish I had the luxury of having an office, I love how you designed it. You’ve made the transformation using furniture pieces to help it feel timeless and comforting. I especially like the way you transformed your foyer! I have loved seeing all your posts this month! Love your style and love PB. So many pretty, inspiring ideas! Thanks Suzy!! I love your blog and never miss reading it. Your home is beautiful! It’s Spring in Oklahoma but temperatures are up and down. I’ve starting my patio pots and put a few hardy plants in the flowerbeds. Looking forward to outside time. Hoping your weather is warming up as well. Easter bunny will soon be hopping around. Thanks for all of the wonderful ideas. Just recently found your site…oh my! so many inspiring ideas!! love it!! I really love the shopping guide included in decor articles. I enjoy the variety of your posts. 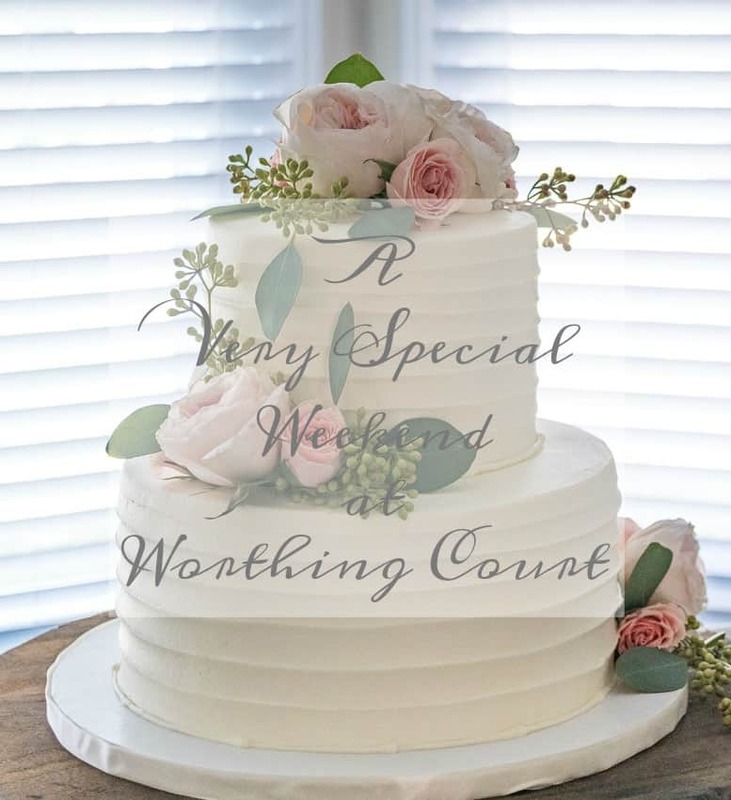 I must admit I really love the look of your daughters wedding cake. That was a great blog that day. I enjoy all your projects, thanks for the inspiration. Hi, Suzy! I’ve been looking at your ladder awhile, and have decided I’ll make one for more display here, and to use at my Fall & Christmas “trunk” shows (tho’ they aren’t really from the trunk!!!) Only problem I have is finding some old/reclaimed wood ~ “Mr. Google”, here I come again! Love it all, lady! Now I’m going back to look at your storage solutions. We have great floored attic space, but only w/ladder access in two different areas of the house. The climb makes it hard to get heavy tubs stored!